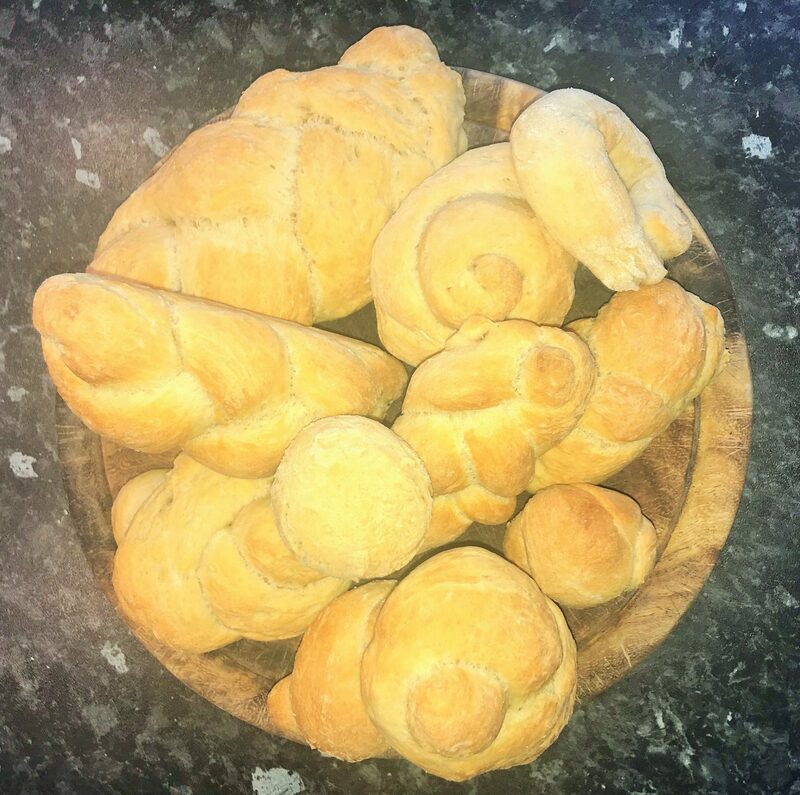 This recipe for homemade bread can be done completely by hand so very little equipment is needed and that also makes it a great recipe to try with kids. 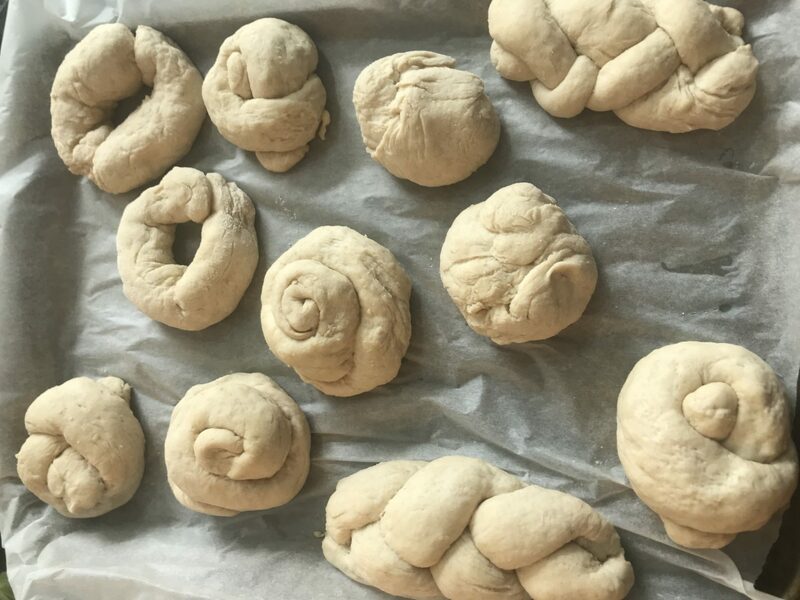 They will love the kneading of the dough and making individual bread rolls, but you can also make a loaf using this recipe. Once you have a ball of dough you you need to knead it for about 10 – 15 minutes. 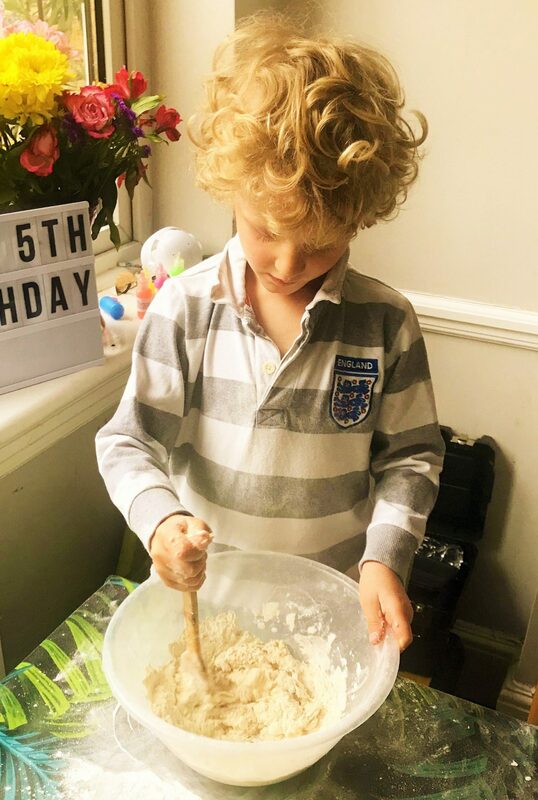 You can use your electric mixer with the dough hook for this if you prefer, but if you are baking with kids then I would let them go crazy here. Shape into rolls or into a loaf. For a loaf I use a tin and grease it before putting the dough in. Once you have your rolls or loaf shaped then cover with a damp, clean tea towel and leave in a dark, warm place for 1.5hrs to prove. It will double in size. Uncover and bake in an oven preheated to 230 degrees C. It will take approximately 30 – 35 minutes. We certainly get lots of rainy days and it siunds a great udea to bake bread on one. Do you know if the recipe works with dairy free spread instead if butter? I just want to dip this into some hot soup! You make it look so easy! #dreamteam Jacqui recently posted...5 Secrets To Becoming The BEST Spouse Ever.